Keerthi - January 30, 2018 - Leave your thoughts. It has been a great week for Animaker. The peer to peer Business solutions review platform G2 Crowd has listed Animaker in “The Highest rated American software tools by state”. The list which has been compiled based on the customer satisfaction scores has Animaker featured among the likes of Slack, Mailchimp, and Microsoft. Animaker is the only Animation content creation platform to be featured on this exclusive list. 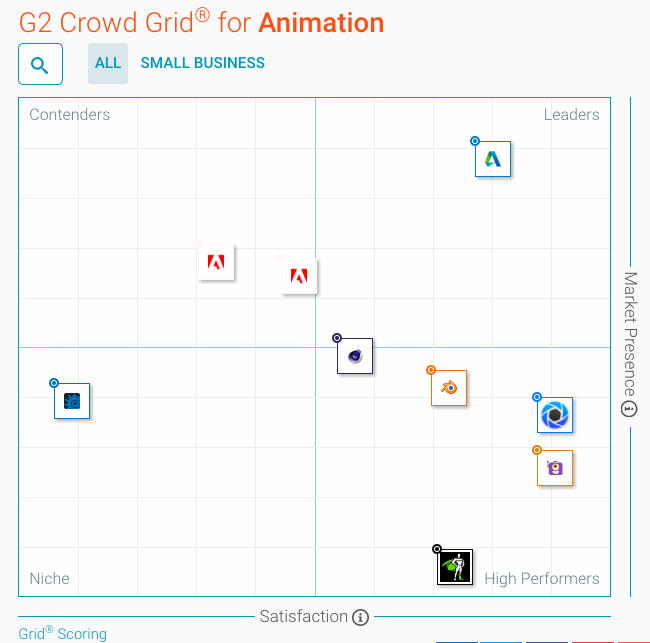 Animaker was rated 92/100 by G2 Crowd and 4.8/5 by users around the world. 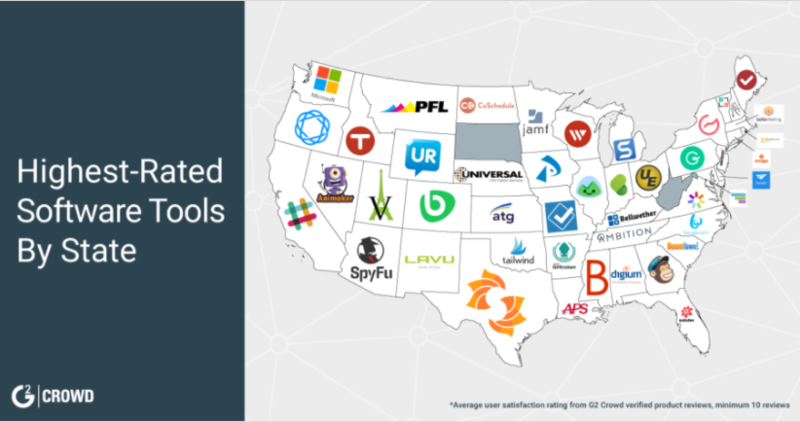 The other cool thing about this G2 Crowd list is that it has featured the highest rated tools in every American state. Animaker came on top in the state of Nevada. Our main aim is to help people create high-quality Animation videos without depending on complex software. So it was a huge landmark for us when Animaker made it into the high performer section of the G2 Crowd grid for software listed under the Animation category. So what have the users been saying about Animaker on G2 Crowd? Though there are many, here are a few which caught our attention. Right from the very beginning the support that our users have provided us has boosted our spirits and kept us pushing the boundaries of DIY animation. We owe a lot of our success to our awesome users. It’s super awesome to be rated higher than Adobe tools and other market leaders for customer satisfaction. As exciting as it seems, we are also aware that our journey has just begun. With 10X more updates and releases planned in the pipeline, we are really thrilled that 2018 is going to be the biggest year for Animaker. In case you are still not a registered user on Animaker, sign up for our Free plan here.